As the USDRA predicted a few weeks ago, the FAA has announced the final details and launch date for online Drone Registration. The details are about as expected; using an online registration system a pilot will receive an identification number that must be visible on the craft. The registration number can be used on any number of hobbyist-built/owned craft owned by a single pilot. 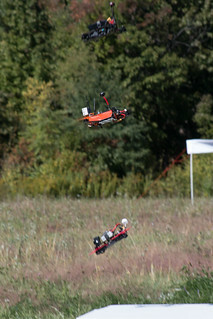 These rules are required for anything over 250 grams, which covers most racing quads. The site isn’t active yet – it will go live on December 21st. For the first 30 days, registration will be free. After that, it will be $5. Registrations are valid for 3 years.